The Kroger Co. (NYSE: KR), America's largest grocery retailer, and Ocado (LSE: OCDO), one of the world's largest dedicated online grocery retailers, today announced Groveland, Lake County, Florida, as the second location for one of their Customer Fulfillment Centers (CFC). The Kroger Co. (NYSE: KR), America's largest grocery retailer, and Ocado (LSE: OCDO), one of the world's largest dedicated online grocery retailers, today announced Central Florida and Mid-Atlantic as the newly-named regions for America's next two customer fulfillment centers (CFC). 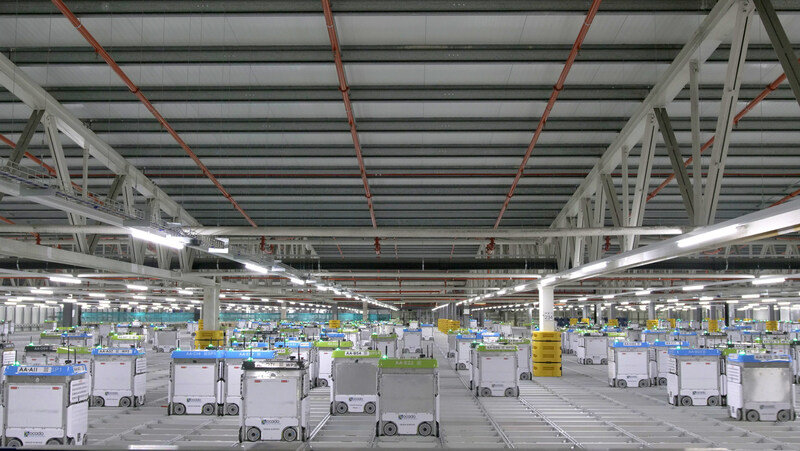 The Kroger Co. (NYSE: KR), America's largest grocery retailer, and Ocado (LSE: OCDO), one of the world's largest dedicated online grocery retailers, today announced the Cincinnati region as its selection for America's first customer fulfillment center (CFC).